The HTC One M8 Android 6.0 Marshmallow update was just spotted received its certification from the Bluetooth SIG. HTC submitted the request on September 22, and the Bluetooth certification authority signed the documents a week later, on September 29. It's not very uncommon for smartphone makers to prioritize their most recent models when it comes to delivering Android updates, especially if we're talking about major updates such as Android 6.0 Marshmallow. 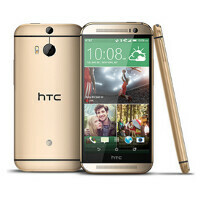 Add in HTC's history of untimely Android updates in the equation, and HTC One M8 owners are probably nervously anticipating the update that brings the latest version of Android to their phones. A while ago, HTC said that phones from its One M line-up will start getting the Android 6.0 update in late 2015. Fortunately for HTC One M8 owners, the fact that the Android 6.0 Marshmallow update for the One M8 has received the go-ahead from Bluetooth SIG seems like an indication that the company is on track with the release schedule, although nothing can be confirmed at this point. Android 6.0 Marshmallow is a pretty big update to Google's mobile operating system, one that the HTC One M8 could highly benefit from. In particular, we think that the battery life improvements ushered by the new Doze feature would be particularly useful on the One M8, a handset that did not impress through battery life. Sweet! I'll take Android 6.0 w/Sense on my M8 over the new A9 any day. Looking forward!